*I opened with the same paragraph last month. I have to say that this posting M/W/F thing is sort of been annoying to me. So I renege. You may see the posting picking back up here because I've not been able to adequately keep track of what we're reading and doing around these parts and as this blog is primarily for me, I'm going to post more regularly. I'm annoying me. Why should I do that to myself? * The Silver Chair, by C.S. Lewis (linked to my review) which I read as part of the Chronicles of Narnia Reading Challenge. * I also began reading The Narnian: The Life and Imagination of C. S. Lewis as part of the challenge. I am about half-way through with this title and will be reviewing it next week, most likely. * The Queen: A Life in Brief was consumed and reviewed over at 5 Minutes for Books. * The only title I have not yet gotten to from last month's list (but still have time before the end of July!) is The Second World War, Volume 2: Their Finest Hour by Winston Churchill. And I'm feeling determined. * My in-town bookclub is torturing me this month. The title? 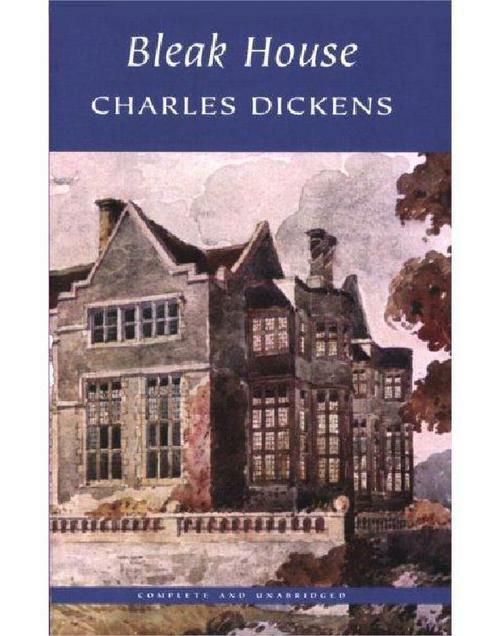 Bleak House by Charles Dickens!!!! (The regulars around here might recall my passionate dislike of Dickens?!?!?!?!) I haven't started it yet. I loathe the idea of starting it. I'm working on the courage and the nerve. And if I perish, I perish. You know . . . light and easy stuff on topics which do not raise anyone's hackles! That's about how my reading month looks. How 'bout yours? I'm off to find out! I love the variety in the books you have chosen! I also have Tolstoy and the Purple Chair on my list, but I haven't started quite yet, but its good to know it starts out more fluffy than heavy. Bleak House is one of Dickens' books I haven't read yet. I'll be interested in your take on it. I love your post! oh, and so want to read the C.S. Lewis (The Narnian) I will look forward to the review! I so started two classics this SUmmer but I am so slow... I did not even list them as it will be too embarrassing when next month comes and I won't be finished! I have yet to be sucked into the Downton Abbey phenomenon, but it certainly sounds interesting. If I do end up watching the series, I know I'll have to read the book you mentioned here, too. Your dislike for Dickens kind of makes me nervous. I have never read him and I have a few on my list! UGH! I am still working on my Narnian challenge. I couldn't stop with the first one so I thought I would re-read the entire Chronicles. I am loving it and seem to be picking up more that I didn't the first time. Tolstoy and the Purple chair...seems I have seen that somewhere before. Looking forward to hearing more about it. Hi Carrie. Have you seen the 2005 BBC miniseries of Bleak House starring Gillian Anderson and Anna Maxwell Martin? It's really good, and an excellent adaptation of the book. I watched it several times before reading Bleak House. I don't know if you think that watching it would either help you get into the book or make you not want to bother with the book, but I thought I would throw it out there. I personally love Dickens, and I don't think I've been reading your blog long enough to know why you dislike him, but I'm not sure why you're afraid to read Bleak House specifically. I LOVED it. It's probably my favorite Dickens book that I've read so far. It's hilarious! Maybe I just have a similar sense of humor to Dickens, but I felt like I was laughing throughout the whole book. And it's just such a wonderful story. If you read the back cover it makes it sound like it has a lot to do with the legal system, but... it really doesn't. If you go to my blog you can check out my review of it, which may or may not make you less worried about reading it. 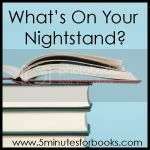 In it I share some fun quotes from the book and just different aspects of the book that I enjoyed. Sorry for taking up so much space with your comments I just love Bleak House so much I find it sad that you don't want to read it! WAIT! For book club YOU are having us read DICKENS in December! I totally understand about not being able to stick to a schedule. I have noticed that I am totally sporadic with blogging...and content with it, though my readers might like a real schedule, I just can't do it! @Annette - haha! Yes! I can take A Christmas Carol because it's to the point. I dislike Dickens mostly because he is so. verbose. @wxrox - I forget who it was, but someone once recommended that I start by watching the mini series as that might help make sense of the book. I'm seriously considering it. Keep talking. You are bolstering my confidence in picking it up. I just don't like his style! I'm sorry to hear that you dislike Dickens style and verboseness! I know everyone has their preferences, so I probably can't change your mind on that score. I love all the words he chooses and the attention he gives to detail. Maybe if you fall in love with the story and the characters that won't bother you as much in this novel. I'll have to keep checking back to see if you watch it / start reading it and see what you think! I plan to keep a Reader's Diary of Bleak House because I think that's probably best for me. And I'm really feeling more and more inclined to watch the mini series FIRST because my other friend in the bookclub said she started reading it and it was filled with subplots and was rather confusing. Bleak House is one of several Dickens books I have not read. I find it fascinating that wxroz likes it best, because I have never heard anyone say that before. That's cool! These are the books I've read by Dickens, and the order I read them in: A Tale of Two Cities, Nicholas Nickleby, A Christmas Carol, Bleak House, and currently reading Little Dorrit (the only book that's on my nightstand). Next on my list to read by him is Our Mutual Friend. This is also another fantastic mini series from BBC that I love! A note to anyone wanting to watch either Our Mutual Friend or Bleak House through netflix - don't do instant watch, they cut things out of them! Get the discs sent to your house. Okay, sorry Carrie for monopolizing your comments section. I'm done now! I'm really curious about the "purple chair" book. This is the first time I've heard of it. 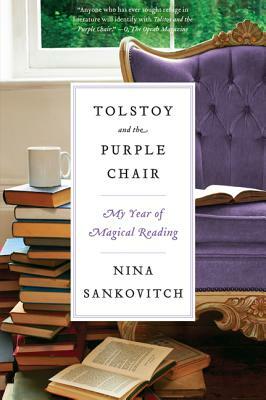 Tolstoy and the Purple Chair is on my to-read list as well. Someday! Bleak House... eh. Good luck! I read it. I trudged through it. I breathed a sigh of relief when done. But it was one "classic" checked off my list. Why, oh why is it labeled a classic??? I hope you like it better than I did! I loved your comments on Bleak House. Please don't perish! :) I hated Dickens in school but did enjoy A Christmas Carol when I read it a few years ago. I've enjoyed Lady Almina. Haven't gotten to the Queen one, but I've read Robert Lacey's others. First, I miss your daily posts. :-). Your blog is a habit for me. :-). Second, have fun with Dickens! I've read A Tale of Two Cities and Great Exoectations, and I plan to read A Christmas Carol aloud to my girls this Dec. for the Bookclub (I don't remember reading it before), but that's it. Maybe you can take some of your Churchill grit and apply it to Dickens! I haven't read Bleak House, but it goes straight to my reading list. I like Dickens, but I remember how at school I had to read a classic author that everybody loved but I strongly disliked. I'm just loving how dramatic you get sometimes. I read this post and just smiled and smiled. I really loved Bleak House but I did watch the miniseries first (which was EXCELLENT). I recently read David Copperfield and while I found certain parts (and characters) to be tedious by the time I reached the end I discovered that I really loved it too! Who knew? No one listen to Carrie! haha...at least on the Charles Dickens thing! Bleak House is amazing! Sorry Carrie, I was cracking up through your paragraph about it. I'm SO glad to be going back through it and now I have to read David Copperfield again, because now I'm thinking Bleak House might be my favorite Dickens. Tolstoy and the Purple Chair...I would have picked it up based solely on the cover too. I'm very much attracted or repelled by cover art. I didn't complete much reading this month; life gets in the way sometimes. There's always next month, right? I always am inspired by the English flavor of your lists. (And I still haven't watched or read any books on Downtown Abbey--I'm so culturally behind!). I love the variety in the books you have chosen! I also have Tolstoy and the Purple Chair.